Cafe Coffee Day is not just an ordinary coffee shop for the people of India now. It is more of a trend of people which they tenderly make. A tranquil atmosphere combined with decent amenity, it is one of the most favourite hangout places for teenagers. The first Cafe Coffee Day outlet was set up on July 11, 1996, at Bangalore, Karnataka with the tagline ‘A lot can happen over a cup of coffee’. It quickly expanded through many cities in India joining new stores with more than 2000 cafes open across the nation by 2016. VG Siddhartha comes from a family that has a 135-year story of growing coffee. Despite this, he was a reluctant participant in this industry and wanted to work as an investment banker in Mumbai after completing his Master’s degree in Economics from Mangalore University. 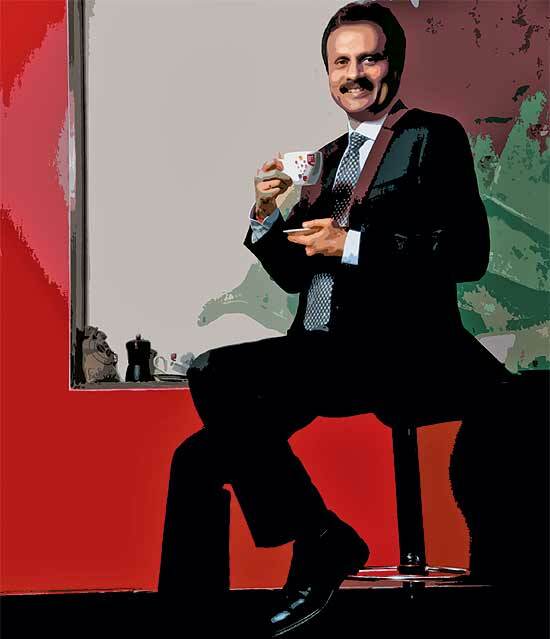 Before starting CCD chain; In 1984, VG Siddhartha launched his own investment and venture capital firm – Sivan Securities, in Bangalore – and began investing the profits from his start-up in purchasing coffee farms in Karnataka’s Chikmagalur region. In last 22 years, CCD has brewed its way to success, in popularity and love it has stored. How the Man from Bangalore Brewed a $200 Million Success Story? What will you discover in this Success Story? The Growth and Success Story: Beans to Coffee Cups. Back to 1996, when Cafe Coffee Day’s story began and headed to such a remarkable, surprising growth. V.G. Siddhartha, the founder of Cafe Coffee Day, is a genius; he linked technology and coffee to start. Cafe Coffee Day, the first cafe at Bangalore in 1996. Siddartha was an analyst with JM Financial and Investment Consultancy and had a curiosity in technology. He also had inherited Coffee farms spread across a massive expanse of 10,000 acres. He returned to Bangalore to look after family business. He was not satisfied by the scope of their objective. He desired to make it really extensive; he sought to reach out people and make drinking coffee a vital experience in common people’s lives. He inspired by the founders of “leading coffee brand in Germany – Tchibo.” This inspiration gave Siddhartha an image of a different world overall & opened his eyes. It also gave him a great concept, with that idea; cup by cup he made his Billion dollar field. CCD’s complete marketing strategy is committed towards teenagers. Be it their Facebook page updates or tweets or in TV commercials, they are very immersed in whom to communicate to. CCD spends 2% of its top line on marketing, with a marketing budget of INR 8-10 crore. So far, nearly 90% was spent on in-store marketing, with effective marketing accounting for the remaining 10%. They are focused on endorsing Café Coffee Day as a place to have conversations. CCD reinforced by specific good clicks; they are full of image updates to throb with the zeal of teenagers. CCD has a healthy appearance on social media. CCD has witnessed more than 106k followers on Instagram, 71.6 K followers on twitter and whopping 5.4 million fans on Facebook. The Facebook check-in feature is becoming frequently prevailing with the user of the social network who likes to keep their loved ones notified about where they are. With 2 updates every single day, they seem to receive pretty a good traffic from their community. For a brand with more than 5 million fans following on its page, they claim a steady 9% fan traffic (approx) for a month. CCD is one of the most attractive Indian brands on Facebook. Café Coffee Day a.k.a. CCD has presented a very well-aimed innovative image, compared to the brand attitude. CCD has been taking candid photos of people at outlets across India and is uploading on CCD’s Twitter and other social media handlers and pages to explain that “a lot can happen over coffee”. Twitter has also created a unique way to promote International Coffee Day with the use of #CCDCoffeeMoments hashtag, motivating people to tweet and tell why CCD is exclusive to them. CCD is using YouTube as a marketing platform to host their advertisements. CCD has more than 2,621 subscribers and 21,40,443 views on its YouTube channel. Café Coffee Day (CCD), after being in the market for the past 16, years has revealed its first television commercial (TVC). The ‘Sit Down’ TVC, offers the CCD custodian a drive for hanging out at the café. It’s made of the thought that ‘standing up’ a lot doesn’t surely return outcomes, but a lot of stuff can happen when you ‘sit down’. A video of ‘Munda Marda Phire’ song revolves around Café Coffee Day café. Video lead roles are shown often visiting a coffee shop. This video shows everything can be started and resolved at a cafe by merely sitting down and having a conversation, afresh maintaining its motto that a lot can happen over coffee. Café Coffee Day also ties up a lot of the famous brands. Examples: Levis, Scooty, Liril, and with Airtel Friends etc. Cafe Coffee Day offers special ‘Café Citizen Card’ for gratifying Café Coffee Day’s customers. It is a loyalty program to grow the number of new consumers and keep the existing ones as well. CCD launched its app last year to track consumer behaviour, personalise offers & promotions and allows cashless transactions through built-in wallets and build loyalty. The coffee market in India has been rising due to the need for “Ready to Drink” coffee and has fitted a part of a being’s daily life drinking partner. 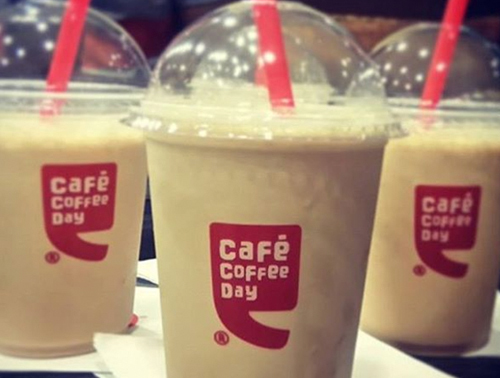 Cafe Coffee Day (CCD) is possibly the market leader regarding retail footprint with more than 2,000+ cafes in 220+ cities across India, with various formats and 600+ kiosks called Value Express. The data is a rough figure; to be exact: As of March 2015, the CCD group run 1530 outlets across 29 states of India. Cafe Coffee Day also has an international appearance in Karachi, Vienna, Dubai, Austria, Czech Republic and Prague. The business turned over revenue worth $210 million approx., employees 40,000+ and Siddartha has a net worth of $1.3 billion. And today, CCD sells 6,500-7,000 tons of branded coffee, exports approx. 28,000 tons of coffee and sells another 2,000 tons locally each year and his Cafe attract at least 40,000-50,000 visitors per week. Siddhartha’s career began soon after he finished his studies! Now, he could have easily survived off the 350 acres of coffee land his family had, but instead – the ambitious VG Siddhartha decided to start something that attracted to him, something designed by him, something on his own! Agreeing on that; his father gave him Rs. 5 lakhs and also told him that in case if he missed achieving what he is looking for, he is always good to come back to the family business and farms. So with that money in hand, he first got a piece of land for about Rs. 3 lakhs and saved the rest in a bank. Later, he arrived in Bombay – the city where dreams came true, in and firstly, walked into a Dhaba/Hotel and paid for a room with a shared toilet for Rs. 120/day at a fort. And he was doing all this when he was just 21! The next day; Siddhartha – who had never seen lifts (elevators) in his life, climbed up the six levels from the ground, just randomly walked into Mahendra Kampani of JM Financial’s office and that too without any appointment. After a short wait and a healthy conversation, he got the lifetime opportunity to join Mr. Naveen Bhai Kampani J M Financial Services (now J M Morgan Stanley) in Mumbai as a management trainee/intern for trading in the Indian Stock Market. During this whole phase, he discovered all about the world of investing and also earned the trust of Kampani. And in no time, Siddhartha was managing the accounts of some really big business organizations. After operating with JM for almost two years, Siddhartha felt that he was ready to come back to start something of his own. He showed his appreciation to Kampani and that he owes a lot to him and soon came back to achieve what he desired the most – business! After two years Siddhartha moved back to Bangalore and with the outstanding Rs. 2 lakhs decided to start his own capital firm. During that time, the stock market had crashed & he was looking around for a new investment possibility that would gain him good returns and thus began Sivan Securities. At first, Siddhartha bought a stock market card for Rs. 30,000, and then along with that, he also took over an organization called Sivan Securities which later went on to be known as Way2wealth Securities Ltd in 2000. And Siddhartha successfully reconstructed the venture into a highly successful investment banking and stock broking company. Siddhartha flourished in giving the Indian consumer a new lifestyle experience, which is within the range of everyday people.